Al-Faisal's (no relation to the curry cafe on Thomas St) is in the 'modern Middle Eastern camp'. It's got the standard kebabs: kobeda, tikka, chicken shawarma, doner and chops. In the more traditional places this would be supplemented by Qabili Pilau, Manto, Falafel, Hoummus etc. However, here the other dishes are fried chicken and pizzas. So, how were the kebabs? Pretty decent and quite cheap. 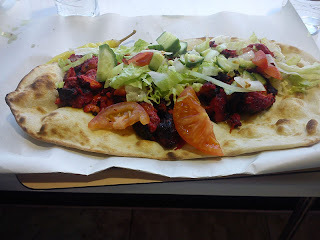 The chicken shawarma was very tasty though a tad greasy - the kodedas looked good though and were only £3. The salad and bread were defintiely up there with the best of the rest, and free drinks added to the value. Given that we don't want pizzas or fried chicken - and the fact that it's not worth coming all the way to Longsight to save 50p on a kebab - we're not sure when we'll be back. But it is a decent place. 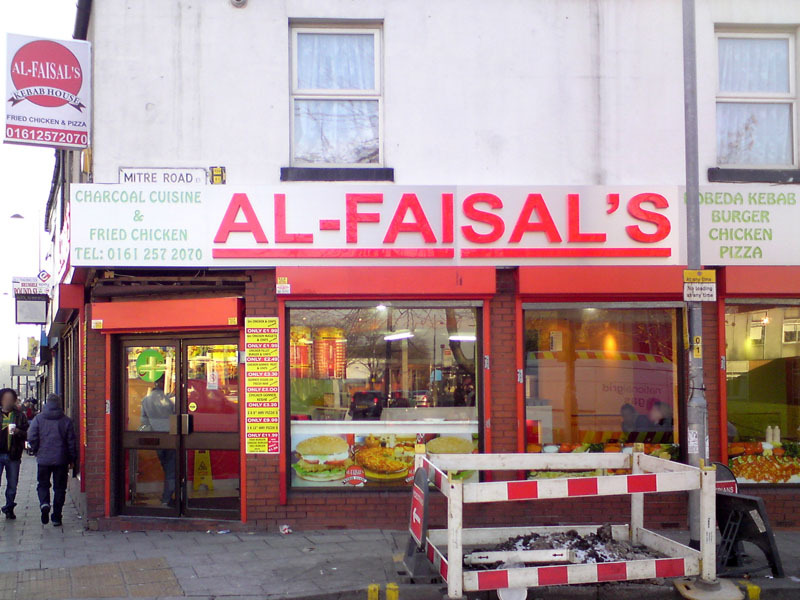 We do prefer the more traditional Al-Aqsa down the road.